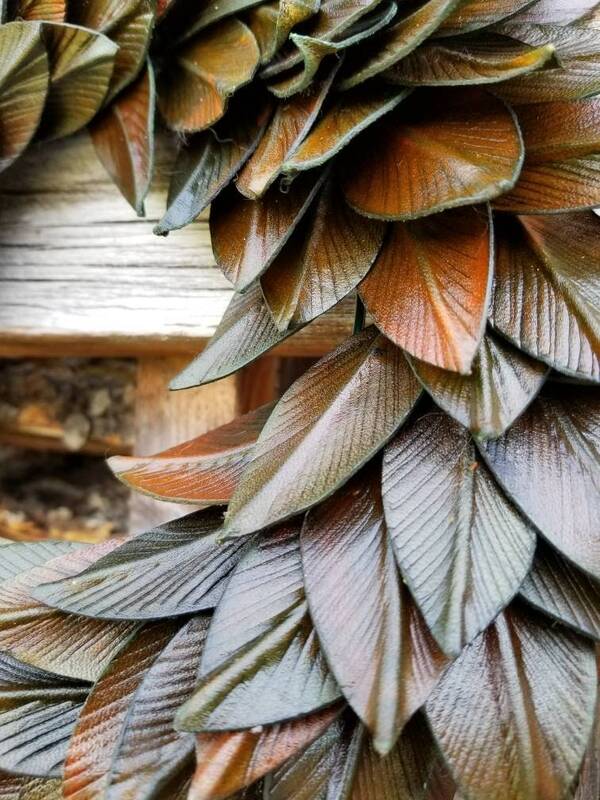 This unique wreath crafted completely in leather is sure to be a conversation piece in your home. 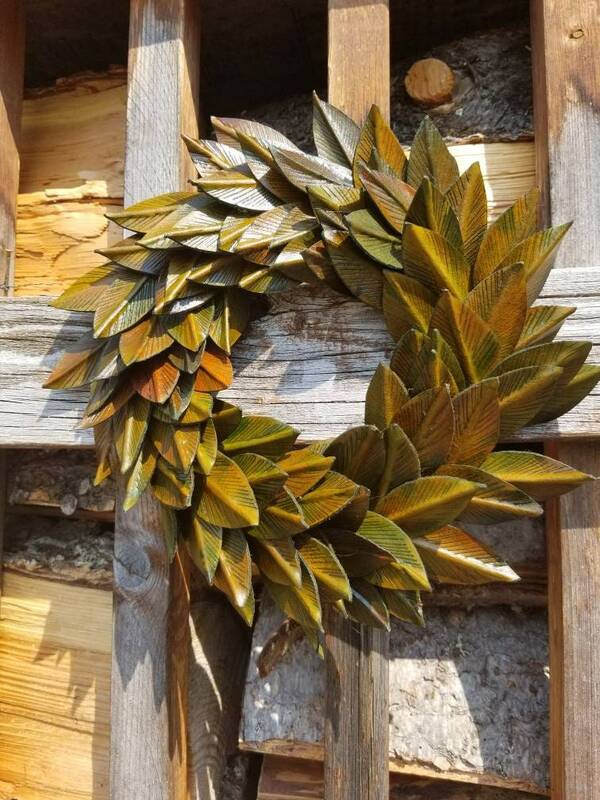 The wreath is made up of 108 individually cut and shaped leaves. Once cut from the leather each leaf is dipped in water to be shaped and tooled. Once dry the leaves are then dipped in a series of different dyes to achieve the unique coloring you see in each variation. 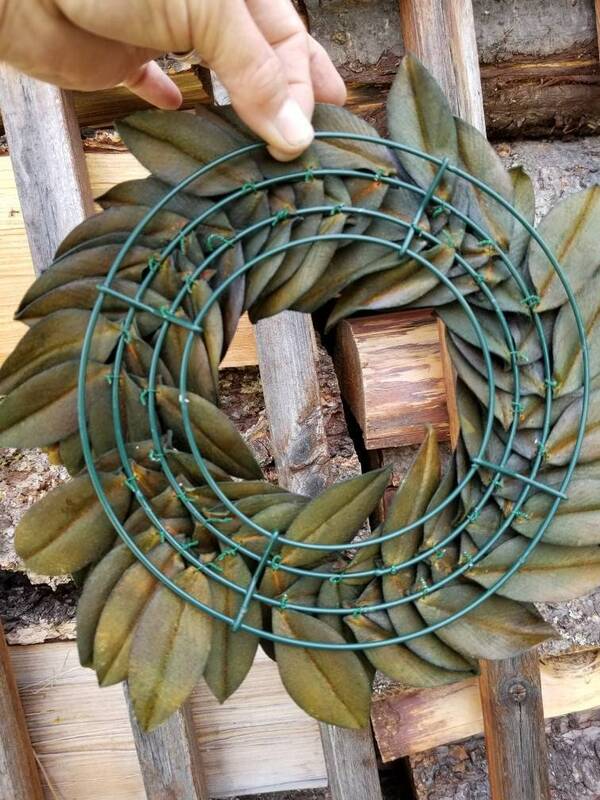 Once sealed the leaves are then wired into a metal wreath frame. 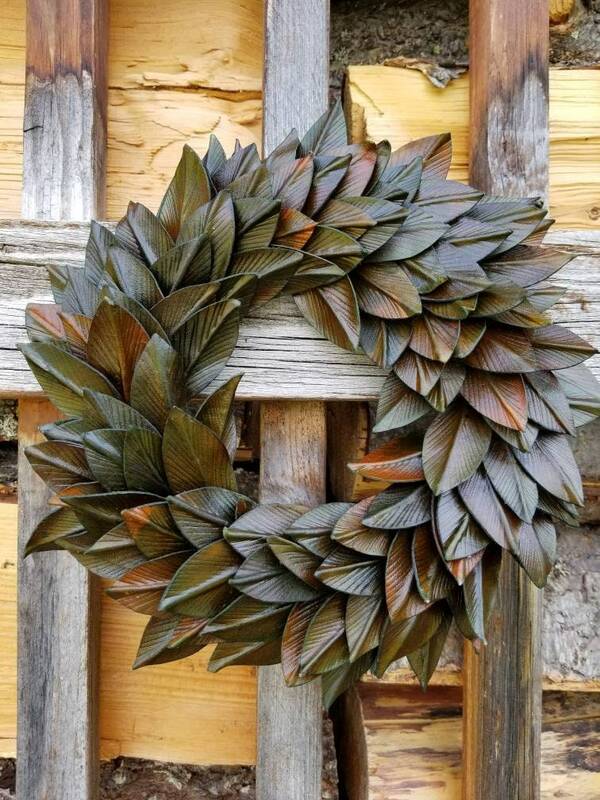 The wreaths are perfect alone or for adding your own seasonal touches. 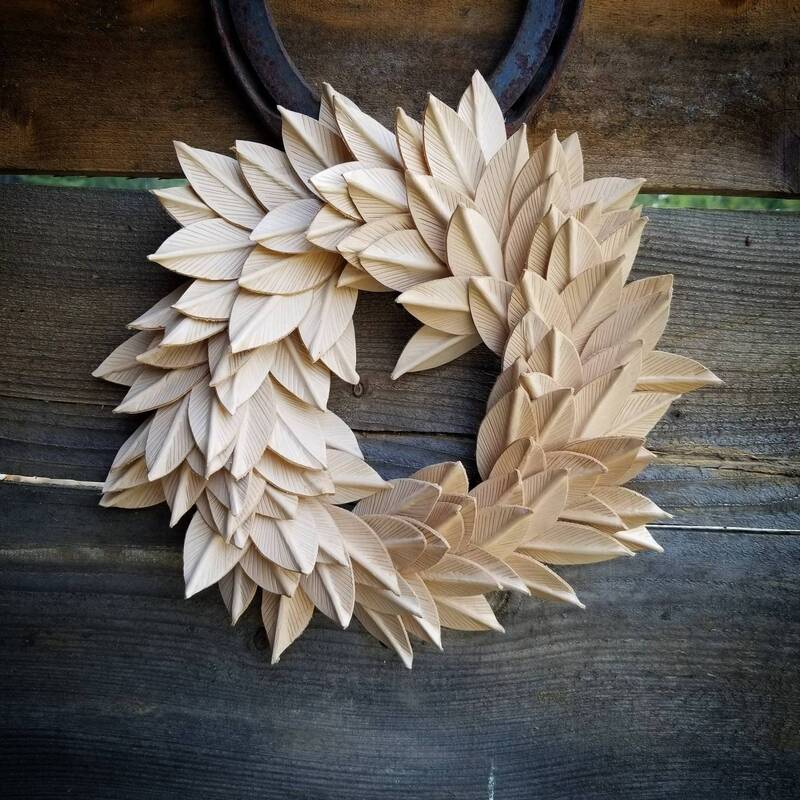 The finished wreath measures approximately 10 inches across. 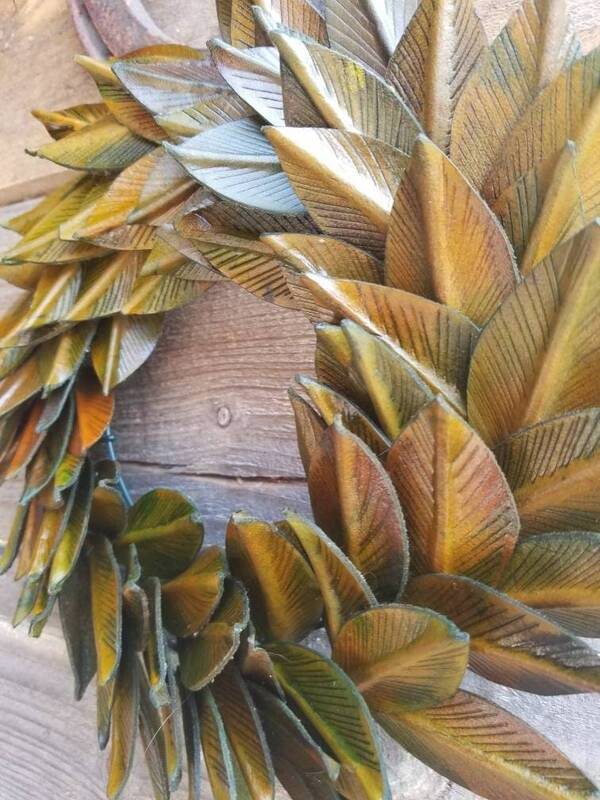 Due to the unique process the wreath you order will not look exactly like the one shown but will be very very similar. Each wreath is made to order so lease allow up to 6-8 weeks for your order to ship. Copyright 2018 Dirty Name Ranch, home of the Bucking Mare.